I thought I’d pop in with a quick post. Work has been just super crazy busy for me since last December. I know it won’t last forever, but . . . 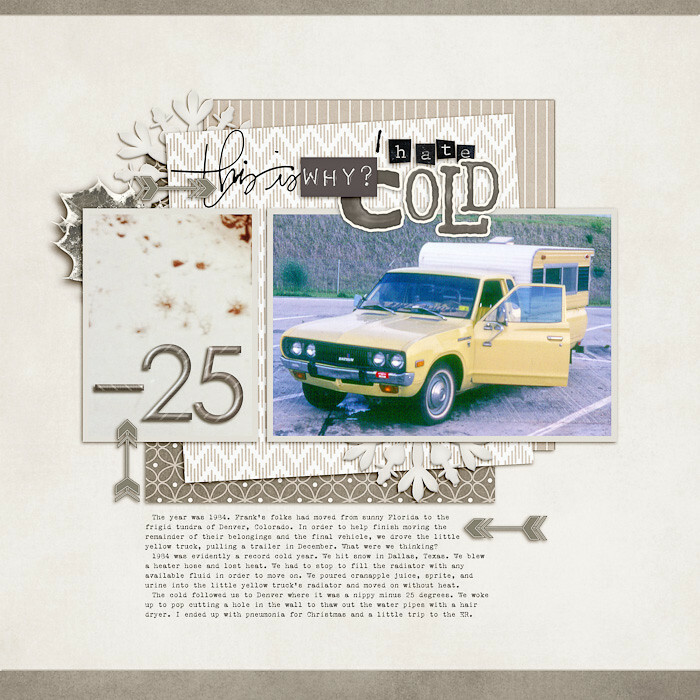 I do still manage to squeeze in some scrapbooking for fun, so here are a couple of layouts I whipped up using the templates that are coming for March for the Simple Scrapper membership. 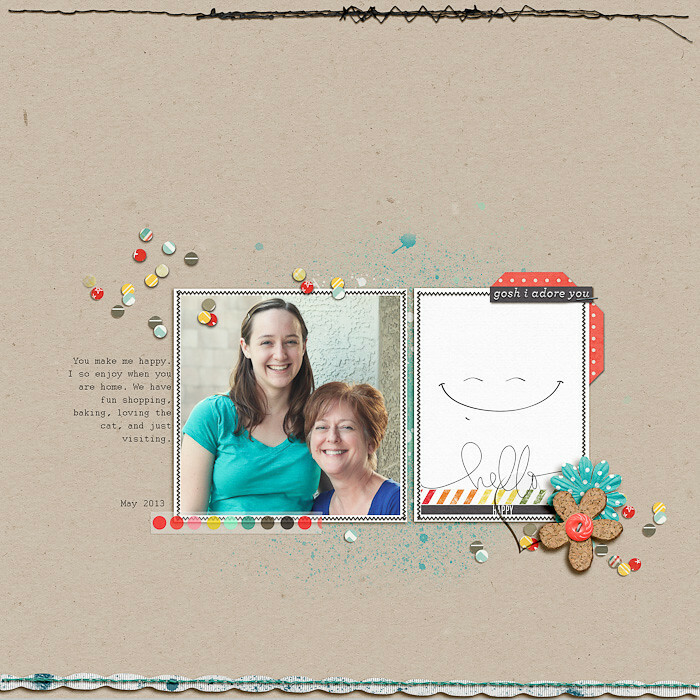 Just a fun simple layout with a photo of me and my daughter with some big smiles. And one that pulls on an old photo taken from some deteriorating slides from the 1960’s. I had some fun playing with some bright colors and a bold background for this one. Updating things a little on my blog, so if things look a bit wonky for a few days, this is a work in progress. You say it’s your birthday – well, yeah it is. I must say, best birthday present ever is having daughter visit from school. It was a wonderful weekend! But, wow it is December. This year seems to have really flown by for me. What about you? Was 2013 a whirl wind? Maybe it’s an age thing. A bit of time for reflection for days past and what to pursue for 2014. I’m thinking I must get a handle on my health and fitness. What are your goals for 2014? So, here’s a little peek at the past for ya. A layout commemorating my absolute hatred for cold weather. Seriously? I just don’t do it, or I sure as heck don’t do it well. But this story dates back to 1984. Were you even born yet? Seems like a fitting story as we enter December. I had captured this in video of my kitty in motion. I used an app called VideoPix to steal the stills. So, what is coming up in 2014 for you? What are your goals? What info do you like see on-line? I know it has been a whole month since I last posted. It has been a busy October for me. 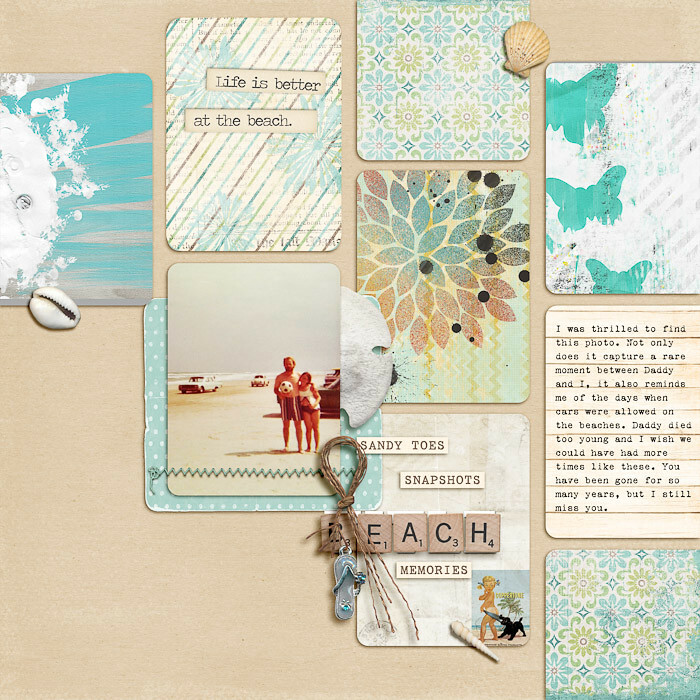 I went on a fabulous long weekend with my scrapbooking girl friends to Rocky Point. We didn’t do any scrapbooking, we walked along the shore, wandered through the estuary, made a quick run into town, played games and enjoyed each other’s company. 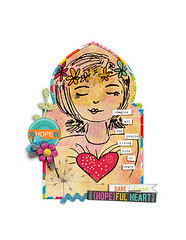 Then, I was excited to learn that I was selected as one of the new Scrapaneers Peers! 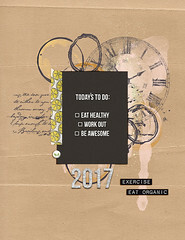 I’m not sure if you’ve checked it out yet, but there are lots of fun classes at Scrapaneers.com. You’ll find me over there. For work, I went to Baltimore to interview young college women at the Society of Women Engineers career fair. It was a blast meeting some employees that work for one of the other businesses within my company. It was a bit tiring to spend an entire day interviewing candidates one after the other, but it was extremely rewarding to be part of the effort. Lastly, we’re taking some steps to refinance our house and take advantage of some lower interest rates. 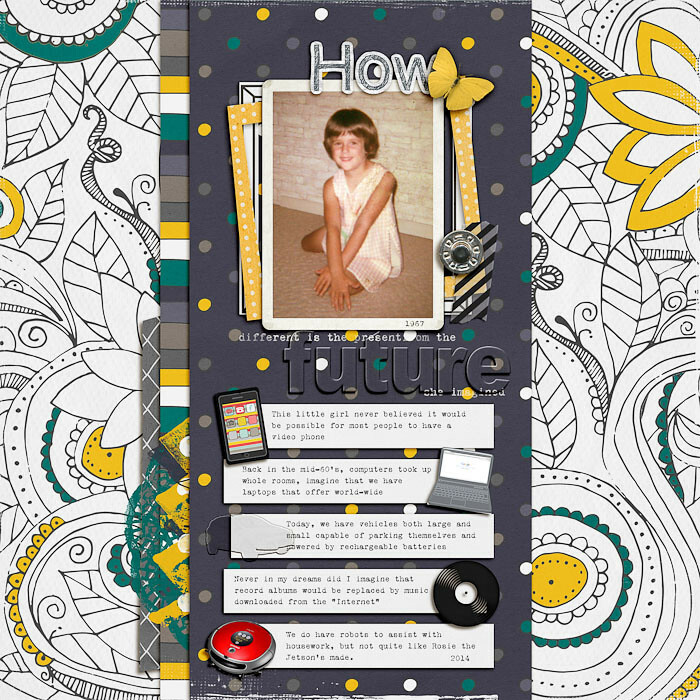 It’s a wonder I had time to get any scrapbooking done at all. 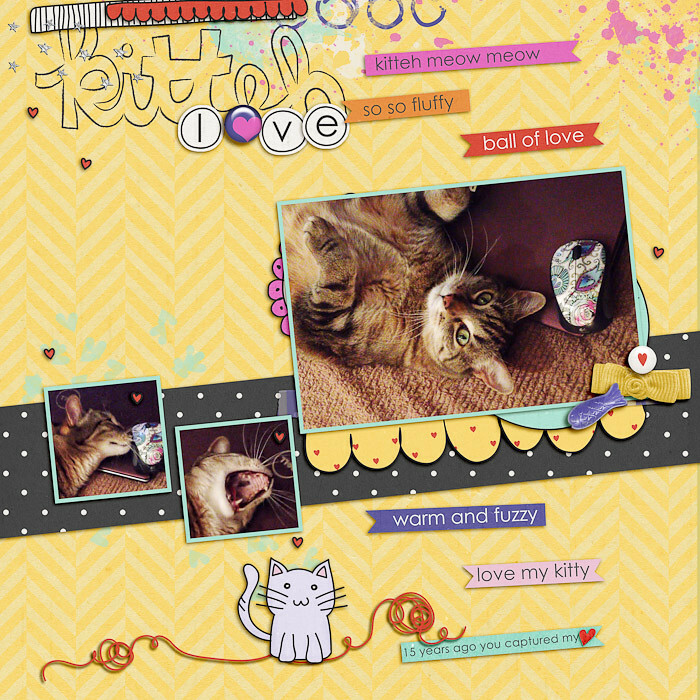 But, I did manage to eek out a couple with the Simple Scrapper November templates. This first one just documents one of my favorite local restaurants. It’s close to home, they have some great traditional Italian dishes and some interesting twists on some pasta dishes too. This one is based on one of November’s Story Starters and I used some new techniques from Amanda Taylor’s Art of Journaling Workshop. I really enjoyed her style of teaching. I think it has been a while since I have blogged. The summer seems to be winding down and we are beginning to get some relief from the here here in sunny Arizona. I’m ready! Hubby and I are finally able to get in a few walks again in the early morning or evening hours. I have missed those. 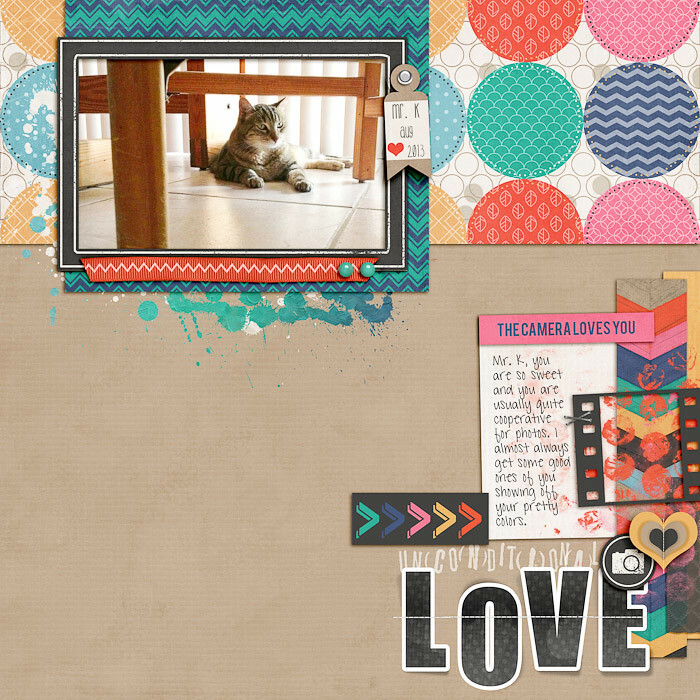 So this past month’s Simple Scrapper layouts went to a photogenic cat, and another blast from the past. I found this photo a couple of months ago and actually tried three different times to scrap it before the October Story Starters and templates from Simple Scrapper led me to this. I am so happy with the result. And where would we be in our empty nest phase of life without a cat to photograph. this one was an opportunity for a fun shot of our Mr. K relaxing under a kitchen chair. 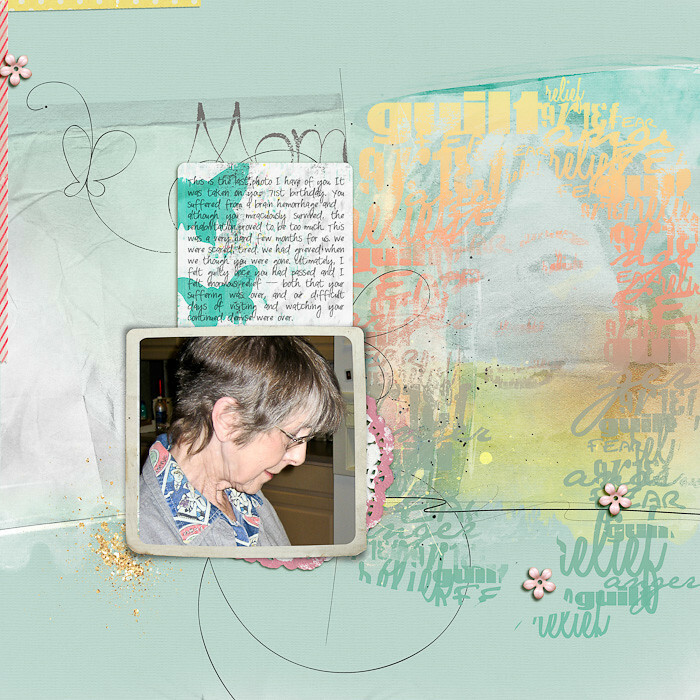 A few of my fellow Simple Scrapper teammates are also sharing their work on their blogs today, so drop by and see their lovely work. I should have some more news to share this week; let’s see if I can actually blog more than once this month!